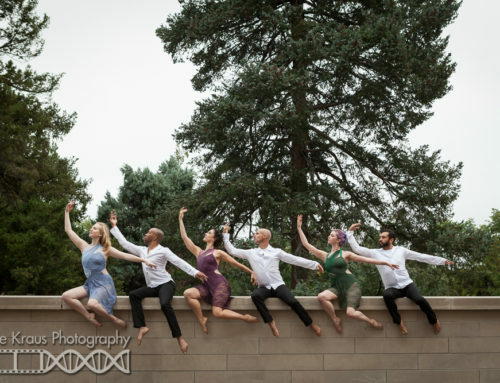 Karlyn and I met at the Park Hill Dance Collective photoshoot we did in the spring. She is the artistic director of the company and owner of Park Hill Dance Academy. 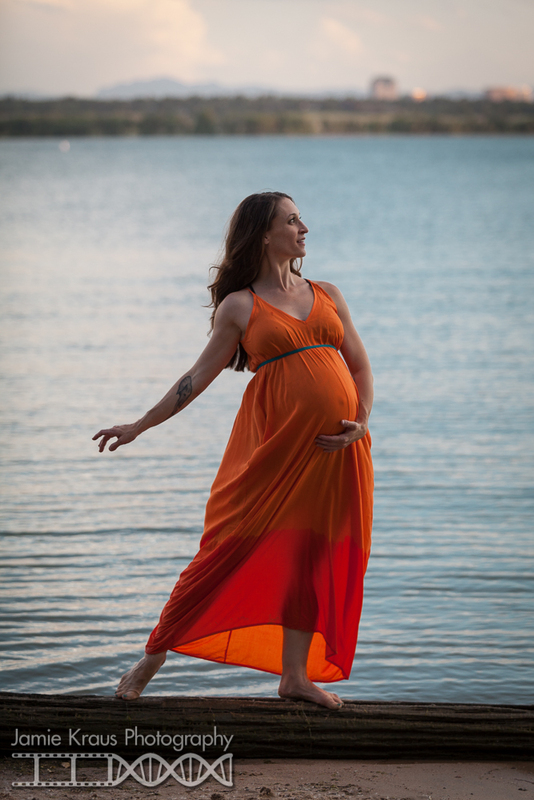 We were both really excited to make maternity dance portraits so a month or so later, we headed to the beach with her partner, Kevin. First the two of them did some partner work and even a couple of lifts. I’m pretty sure lifting one person is hard, but lifting one and a half people in sand must be way harder. Then Karlyn braved the water and even rolled around on the shore, because she is one badass mama! Your work is always so unique and creative. Great session! Oh fun! Great captures and I really live the one in the orange dress in the water! Love this!!!! She is so damn graceful! 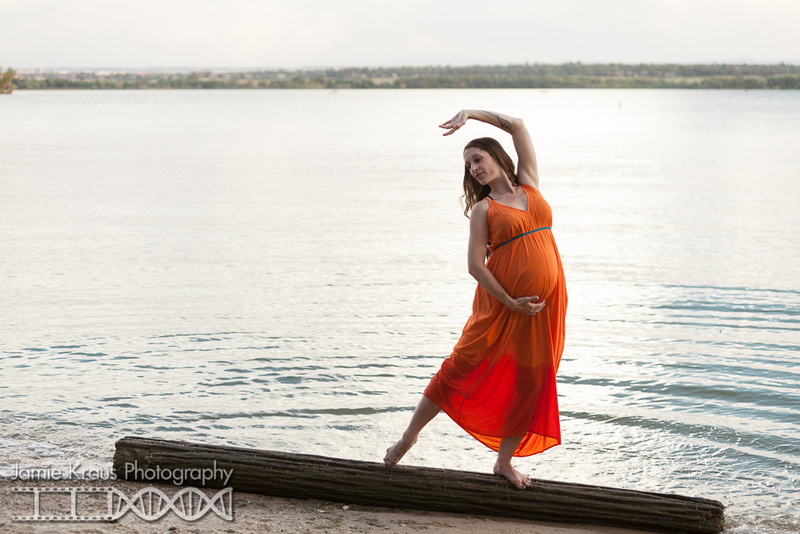 What an elegant, unique way to do maternity photos! Love your vision for this session. Such a different and cool approach! Wow these are incredible and so different! She is one hot mama! I just love the water and that sky! She looks fabulous in that glowing orange dress. Fantastic job! Yay! I was so excited to see how these turned out! I love the partner work!